Home / Off the Grid / EarthShip And Sustainability – Finally Catching Fire! EarthShip And Sustainability – Finally Catching Fire! 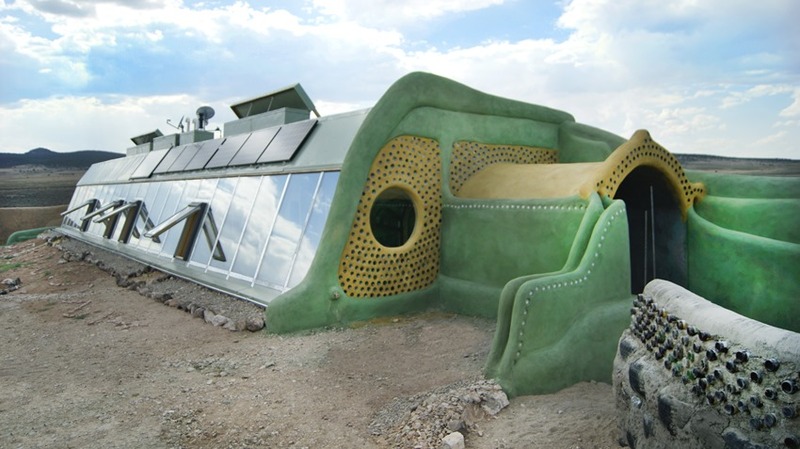 An Earthship is a unique type of passive solar house that is made of both natural and recycled materials (such as earth-filled tires), designed and marketed by Earthship Biotecture of Taos, New Mexico. The term is a registered trademark of Michael Reynolds. Earthships are built to utilize the available local resources, especially energy from the sun. For example, windows on sun-facing walls admit lighting and heating, and the buildings are often horseshoe-shaped to maximize natural light and solar-gain during winter months. The thick and dense earth-rammed tire walls, through varying amounts of sunlight and shade, provide thermal mass that naturally regulates the interior temperature during both cold and hot outside temperatures. The subdivision, just past the Rio Grande Gorge Bridge, has 70 Earthships with space for a total of 130. The 663-acre site also includes 2 acres of experimental projects, decreed by state law in 2007. Davis said Reynolds told legislators, in appealing for his cause, “You let people test an atomic bomb in New Mexico, and you won’t let me have 2 acres of sustainable testing?” Among the experiments are one-room “simple survival” units, which Davis calls “basically like camping with walls.” The basic, no-frills structures cost $15,000 to $25,000 to build and feature mud floors, automotive power converters, film solar strips on the roof, a bucket-flush commode, a worm digester for cleansing sink water, a gravity shower and a greenhouse. The subdivision also has several furnished Earthships that can be rented for a night or extended stays, which last year earned it a spot on online travel site TripAdvisor’s Top 10 quirkiest U.S. lodging properties. – Natural and recycled materials: Old tires, empty food and drink bottles and cans, dirt, mud, sand and straw form exterior and interior walls and arches. Wood, rocks, concrete and mesh complete the structural components. – Water harvesting: Rain and snow is captured on the roof and channeled through silt catches into buried cisterns. The water is gravity-fed into a pumping and filtering system that supplies code-required water pressure and clean water for drinking, cooking and bathing. A communitywide well connection is available as a backup source and for fire protection. One inch of water yields two-thirds of a gallon on 1 square foot of roof. Therefore, a 2,000-square-foot roof nets about 10,500 gallons of water a year for saving and recyling. – Sun and wind power: Horizontal wind turbines and passive solar systems that rely on rechargeable batteries mean no connection to the electrical grid is needed. Enough power is generated to provide lights, required electrical outlets, Wi-Fi connection and television. – A contained, on-site sewage treatment system: Rubber-lined planters treat filtered rainwater that has been used in sinks and showers. Solar pumps recirculate and plant roots oxygenate the gray water and clean it enough so that it can used again, this time for flushing toilets. Dirty toilet water flows outside to a septic tank and leach field. The filtered water can be used for outdoor landscaping. – Food production: Abutting the home’s solar panels is a tropical garden with vegetables, fruit trees and other plants that cleanse shower and sink water (and also ingest it) to create a balanced ecosystem. Homes can have ponds with fish, such as tilapia. Succulent plants help eliminate odors. – Passive thermal heating and cooling dynamics: A series of hand-operated vents, dampers, skylights and solar windows help keep the house at the desired temperature daylong and year-round. “When it’s below zero in the winter, it’s still 72 degrees inside, with no furnace,” Davis said. The heating, cooling and water filtration systems rely on gravity and the forces of nature to operate, a throwback to the way homes used to be built. Building an Earthship costs about 20 percent more per square foot than a conventional house, said Kirsten Jacobsen, education director for Earthship Biotecture. In the Taos area, that translates to about $215 per square foot. In the Pikes Peak region, it would be about $128.50, according to figures from Pikes Peak Regional Building Department. Earthships also are artistic, Davis points out. Colored bottles that previously contained water, wine, beer, iced tea, hot sauce, pickles, olives and other products form rainbow patterns on walls and let light in. Unique tile designs on floors and adobe also are eye-catching. Combine all that with the indoor greenhouse, and “it’s like your home is alive,” Davis said. hops out of a bedroom and across the flagstone hallway to his home. He lives in a long strip of dirt, gravel and sophisticated water filtration system that give life to banana plants, grape vines, tomatoes, chili peppers, herbs, houseplants and small creatures. In the enclosed foyer beyond the front door, a small lizard seeks warmth from the adobe walls. Outside, the night sky looks wide and deep, like the ocean, with stars as big as whales. No street lights or power lines mar the landscape. The quietude extends inside the home, which is decorated with fresh flowers snipped from the live plants. It seems to pulse not with electricity sizzling through its core, but with its own energy. This is the Euro, one of several rental homes at Earthship Biotecture. A one-story, three-bedroom, two bathroom home with a horizontal hall giving way to each of the rooms, the layout takes some time to get used to. 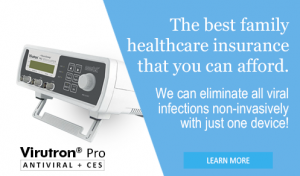 So do the relatively dim lights, unfamiliar gurgling of the water filtration system after the toilet or sinks are used, the absence of a power-hogging microwave and dual water spigots at sinks. One is for drinking and cooking and the other for washing dishes and hands. All in all, the necessary comforts are all there, and Earthship living elevates the ecological mind and spirit. Here’s what some recent visitors had to say in the guest book on the coffee table in the Euro’s living room. “It makes it clear to me how wasteful I am in my ordinary life,” wrote a man from Los Angeles, Calif.
“Positive energy,” “comfortable accommodations” and “a modern feel” were other observations.